Professor N C Thanh was Chairman of Environmental Engineering Division when I joined Asian Institute of Technology (AIT) in Bangkok. Most in the Division used to be scared of him as he had a very strict face and was firm with the rules. He was however a different person when it came to the Division parties. He used be the star of the event, socialize with everybody and even lead to the dance floor. Professor Thanh was always well dressed and wore everything branded – his belt, his shoes, his shirt and the tie were all signature stuff. I don’t think he ever shopped items on sale or with discounts! That was the personality. Professor Thanh was a Vietnamese national. He studied in Canada for his doctoral research (University of Laval) and became a Canadian Citizen. He spoke French very fluently. His English had a mix of Vietnamese and French accent. Whenever he spoke it sounded rather pleasant and sweat. 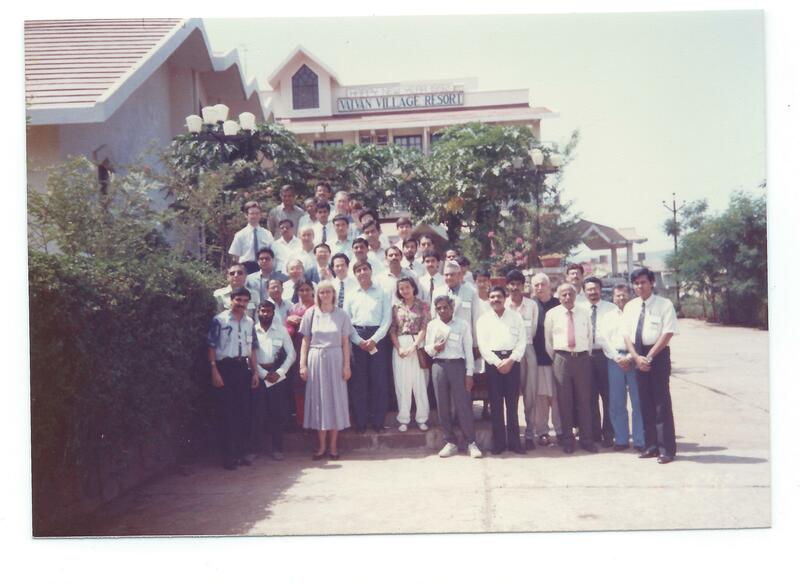 During my stay at AIT, I hardly interacted with Professor Thanh as I worked with Dr Bindu Lohani. I knew that water treatment was one of his areas of expertise and he had bagged research awards on work done on “horizontal filtration”. 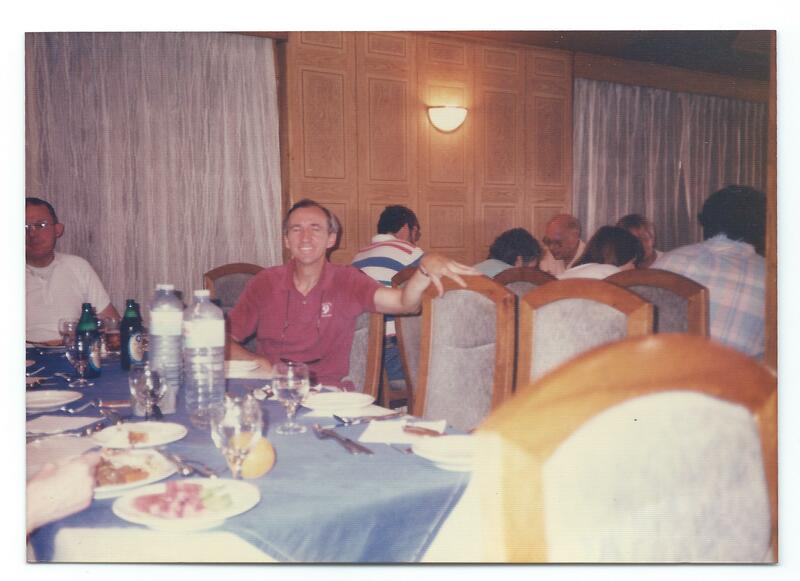 After I returned to India, I reconnected with Professor Thanh after nearly 5 years, in 1989, on a cruise on River Chao Praya. Meeting him on the cruise was a sheer accident. He asked me “Dr Modak, what do you do now a days? I have left AIT now and I run training programmes under the banner of CEFIGREE (International Centre in Water Resources Management in France). Would you have time and interest to come to Bangkok and deliver lectures in our training courses? We don’t pay much but we will take good care of you!” I readily agreed to Professor Thanh’s proposal. I was missing Bangkok anyways. I used to lecture on Water Quality Modelling and Management in Professor Thanh’s courses. These events used to be once every four months and I did many sorties to Bangkok for nearly three years. Professor Thanh was a good host and a meticulous organizer. 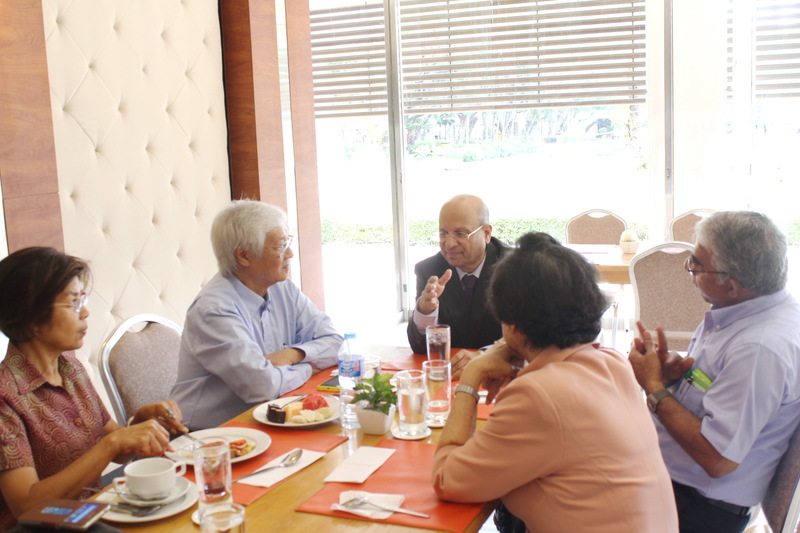 His team included Wanida Srichai – my batch mate and Khun Ratana – Prof Thanh’s earlier secretary at AIT. They really took good care of me. I was picked up and dropped to the airport, put in a decent and a friendly hotel, taken out to some excellent local restaurants with friends and of course to the shopping malls. While at AIT, I didn’t have an opportunity to listen to Professor Thanh’s lectures. During one of the training programmes of CEFIGRE, I had an opportunity. Once Professor Thanh was introducing the subject of Water Quality. His first two slides were however not connected to the subject at all. The first slide showed a map of Bangkok with locations of the shopping malls where sale was on. The second slide showed map of Pat pong, Soi Nana and Soi Cowboy with locations of some of the most frequented night clubs and the “Go Go” bars. While showing these two slides to the participants, Professor Thanh smiled and said “Well, you all will have copies of these two slides. So don’t worry about what to do in the evenings – everything is taken care of. A mini-van with a driver who speaks English has also been arranged for your safety and comfort”. And then he made a serious face and said “But now listen to me. We are going to discuss Water Quality now and I want your full attention – no distractions please!”. I really liked his style. 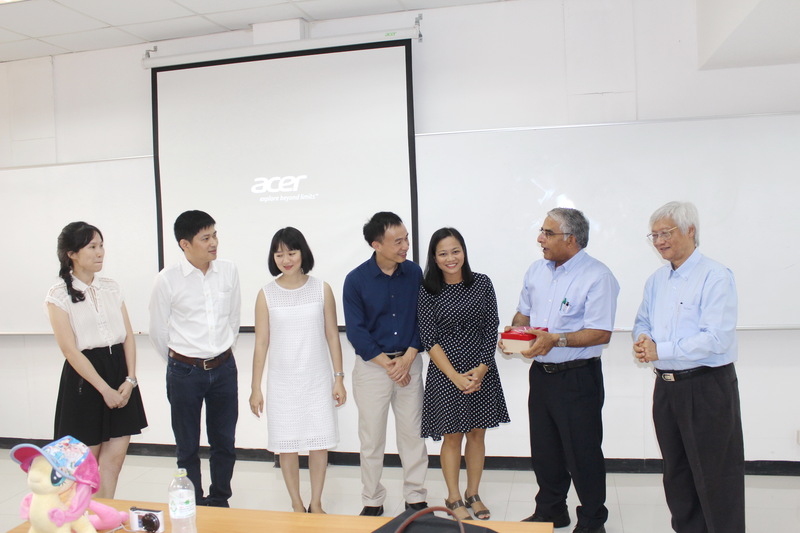 Professor Thanh often gave surprises. I recall that there was a round table meeting in Bangkok that he and I were present. The organizers asked each one of us to introduce. I did my best in projecting my research and work experience and try to impress the people. When Professor Thanh’s turn came, he simply said “I specialize in managing people”. I was surprised. During the coffee break, I went to him and said “Professor, why didn’t you talk about your work on water treatment, research you published, awards you secured etc. – “managing people” sounded a bit trivial!”. Professor Thanh smiled and said “Dr Modak, you will soon realize that managing people is actually the key and something so hard to do”. Unfortunately, I understood his point much later in my life. Professor Thanh would remember every minute detail. I remember we were having a drink at one of our close friends place (P. Illangovan) in Bangkok. Professor Thanh was working with a Finnish company then called “Soil & Water” that operated from Helsinki. Before the dinner, Professor did a concoction for me with a red lingonberry Finnish wine, a wine not generally seen at the duty free shops. The concoction was exceptional and I praised Professor Thanh for the delicate balance and said “Professor, wish we have another occasion to drink this wine once again”. Years passed by. I was in Yogyakarta in Indonesia in 2002 for a conference. I saw Professor Thanh’s name in the list of delegates. When I checked in, I had a message in my room “Dr Modak, I knew you were to attend this conference. Please could you come to my room at 7 pm for a drink”? When I reached his room, there were friends and some new faces that Professor Thanh introduced. Professor Thanh then got up, opened the mini-bar and took out a bottle of red lingonberry. He told everybody “This wine is Dr Modak’s favorite. I am offering him a concoction that he last loved in Bangkok”. I later realized that Professor had shopped this wine just for me in one of his trips to Helsinki and kept in the reserve for the “future occasion”. I was shocked with his memory and the affectionate gesture. Professor Thanh moved as Director of Asian Institute of Technology in Hanoi and we had several opportunities to meet and do joint projects. During one of the missions, I remember visiting his house in Ho-Chi-Minh City. I was greeted by his old father and the three sisters who cooked the dinner that evening for me. When we sat on the dining table, Professor Thanh’s father introduced the Menu, spoke about each item and called on the sister who prepared that item and thanked for the hard work. This was something rather touching and unusual. When we finished the dinner, I was asked to say a few words about my experience of eating the home cooked Vietnamese food. I spoke and Professor Thanh did the translation. The dinner was really an event, rather emotional and memorable. Expressing emotions has always been Professor Thanh’s weaknesses. He is a very sentimental and a sensitive person. I visited his house in Bangkok when he had organized a lunch for me and Dr Bindu Lohani. He asked me to come early. When I arrived, he took me to the market. He then personally picked up the vegetables, meat and the fruits after a lot of thought and examination. “It is important that one should be personally involved right from shopping when it comes to preparing lunch for friends. Most ask the cook or order from a restaurant. I don’t when it comes to friends” He said. And the lunch turned out to be excellent. After the lunch, Dr Lohani left and I stayed a bit longer. Professor Thanh took me upstairs to show the house and I saw an amazing collection of handicrafts, art pieces and paintings. I couldn’t resist but praise some of art work and I said “I envy you Professor for such a great collection”. Many of these pieces were original antiques. Later, we went downstairs for a cup of Vietnamese tea. As I was leaving his house and getting into a taxi, a large box was handed over to me. I was surprised. When asked about it, Professor Thanh said “Dr Modak, these are a few gifts for you as a memory for today’s wonderful lunch”. I insisted to open the box and found that the box contained gifts that were actually the very art crafts that I had praised during the house tour. I felt very embarrassed and said “Professor, I was only appreciating.. You didn’t have to gift”. Professor Thanh smiled and said “Dr Modak, its easy to give a gift to someone by shopping in a mall. There are no emotions there! But it is something different when you gift someone from your own collection and part it happily – all as a token of love and affection. My heart will be with you when you will keep these artifacts in your house”. I was simply speechless. I still have those wonderful gifts of art work in my house. They remind me of Professor Thanh and his teaching to me on how to gift a friend. 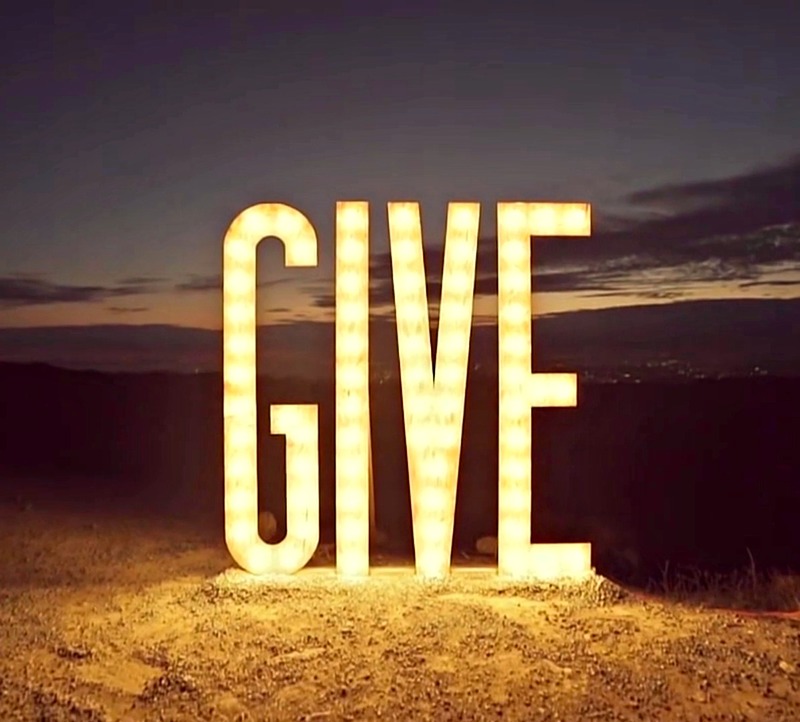 The (emotional) art of giving. My wife told me to get a Health Insurance done. It’s not any more a fashion but a necessity she said. Especially since we live in Mumbai. Health insurance is now a growing segment in India. The health insurance premium has registered a compounded annual growth rate (CAGR) of 32 per cent for the past eight financial years. I asked my Professor Friend for an advice on which insurance company I should talk to. Oh, easy, why don’t you join me for a breakfast meeting at the Grand Hyatt in Santa Cruz with S.K. Roy, Chairman of LIC, CEO of Max Life Rajesh Sud, G Srinivasan and CMD of New India Assurance, Sandeep Bakshi. CEO of ICICI Pru and Sanjay Bajaj of Bajaj Alianze are also joining. All these friends will give you perfect advice. I got a bit worried that talking to these “insurance czars” could mean simply too much of receiving advice and hence a risk. I was however not able to understand Professor’s role in this breakfast meeting. Whats his connection? I was wondering. But since the breakfast was set at the Grand Hyatt, I decided to follow Professor’s suggestion. I love the Kanchipuram Idlis and Pesarattu (Green Gram Dosa) out there. It was a Sunday morning and all the insurance company honchos came in Tee shirts with their tag lines. S K Roy’s Tee shirt had the usual drab tag line – Yogakshemam Vahamyaham which no one understood. Tagline of Rajesh Sud’s Tee shirt was Aapke Sachhe Advisor that put me in some doubt. Born to lead was the tagline of G. Srinivasan that made no sense and Sanjay Bajaj carried the tagline Jiyo Befiqar. Sandeep Bakshi had a tagline Zimmedari ka humsafar and both these taglines sounded rather filmy. Professor took a gulp of coffee from a large mug and opened the meeting. G Srinivasan supported Roy. He was eating organic corn flex that was imported from Australia. 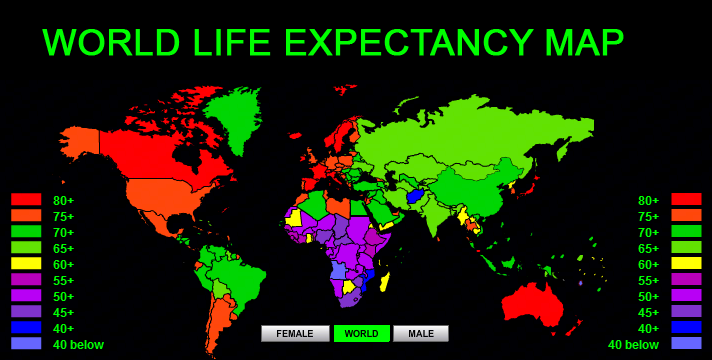 For those who may not be familiar with the term life expectancy – The World Health Organization defines life expectancy as “the average number of years a person is expected to live on the basis of the current mortality rates and prevalence distribution of health states in a population”. In India, average life expectancy which used to be around 42 in 1960, steadily climbed to around 48 in 1980, 58.5 in 1990 and around 62s in 2000. Statistics recently released by the Union ministry of health and family welfare show that life expectancy in India has gone up by five years, from 62.3 years for males and 63.9 years for females in 2001-2005 to 67.3 years and 69.6 years respectively in 2011-2015. From Global averages, we are still low. Experts attribute this jump — higher than that in the previous decade — to better immunization and nutrition, coupled with prevention and treatment of infectious diseases. So if your child was born in the last couple of years, he or she is likely to live five years more than children born a decade ago. Experts have however pointed out that increasing life expectancy beyond 70 years would depend on environmental factors. These factors would include air we breathe and quality of water we drink. Yes, we will live longer, but the big question is how healthy our lives would be. 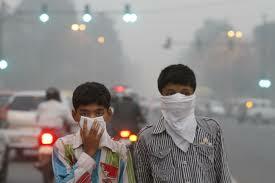 It seems that environmental pollution will be the fourth highest risk factor for deaths. The death count due to pollution is projected to swell in the coming decades because the population in most countries is ageing, and older people are more susceptible to illnesses caused by pollution. Professor continued. He was having egg white in poached style on a multi-grain bread. “So Professor, we must reflect impact of pollution on our calculations of the health premiums” said Sanjay Bajaj. I liked his remark as I saw him picking up the Pesarattu (Green Gram Dosa). The IITM scientist Sachin Ghude, had clearly said, “Although these results are in line with other global estimates, such as the World Health Organization (WHO) and the Global Burden of Diseases (GBD), there’s no physical way to tell who has actually been killed by air pollution.” Gudhe had added, “The methods used in this study rely on statistical algorithms to construct estimates about a population’s response to pollution exposure using previous concrete observations on pollution and public health”. The problem is that most of these observational studies have taken place in regions with comparatively low pollution levels, such as Europe or the US, and we don’t have any epidemiological studies in India that look at the long-term effects of air pollution on mortality,” Gudhe had cautioned. But the news did not communicate these caveats. Thats typical of news-makers. Isnt it? Most said “Hmm…” as all were enjoying the breakfast and didn’t want to speak. The Clean Air Act of US added years to the lives of Americans by reducing particulate pollution.Particulate data from 1970 to 2012 of US EPA yielded striking results for American cities. In Los Angeles, particulate pollution declined by more than half since 1970. The average Angeleno lives about a year and eight months longer. Residents of New York and Chicago have gained about two years on average. With more than 42 million people currently living in these three metropolitan areas, the total gains in life expectancy has added up to something substantial. Professor lit his Cigar. I knew that this is now the time for new ideas. “Well, I recommend you to come up with an entirely new insurance product. Call this as the Pollution Policy. Through promotion of this new instrument, you will raise awareness on pollution to common person. This policy will also make the Government think hard on the overall economics. I thought I should add something interesting here as I was waiting for my strong filter coffee. “Friends, China’s largest online travel agency is now offering tourists “smog insurance”, permitting travelers to claim financial compensation should their city break be blighted by bad air. Ctrip.com has created the “haze-travel insurance package” in collaboration with the Chinese insurance firm Ping an and has been selling this new product. The insurance is focused on six cities including Beijing, Shanghai and Xi’an, all of which are popular with tourists – and also suffer from poor air quality. Under the new insurance package, tourists who spend at least two days in the designated city while pollution levels are high will be able to file claims. All listened to me politely. “Travel insurance is another story” – said the Professor – “but you can draw ideas for the Pollution Policy”. He patted on my back. It is often hard to distinguish the terms workshop, seminar, symposium etc. While there are definitions available, generally these events create opportunities to bring the stakeholders together. With the advent of internet technologies, we don’t have to bring together the stakeholders physically anymore and do a webinar instead of a seminar. But indeed there is no substitute to the face to face meets. Workshops are platforms where there is more active engagement. While both “open” and “closed” formats are possible, the latter format is generally preferred. 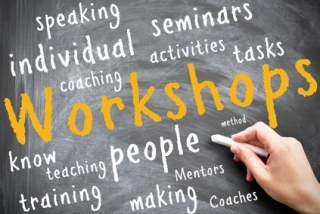 Workshops often entail group based activities where groups are tasked. In the groups, brainstorming happens – a term popularized by Alex Faickney Osborn in 1953 (You should not miss reading his book Applied Imagination). During such a session, there is no discussion or criticism and evaluation of ideas takes place later. 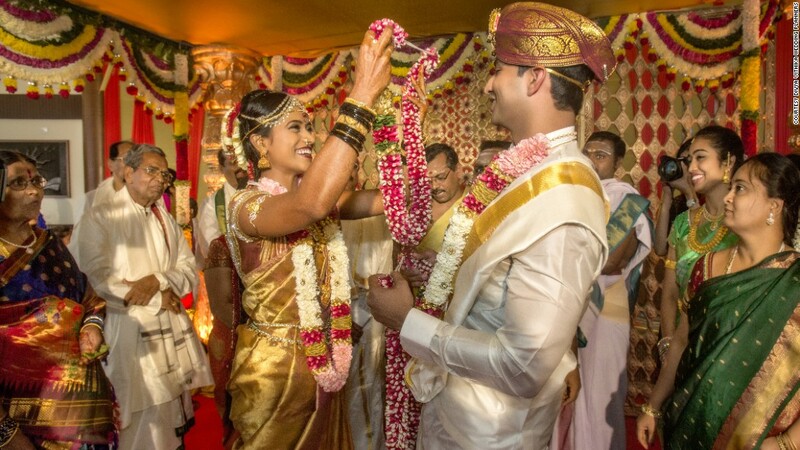 Osborn credited the origin of the process to Hindu teachers in India, who used the method of Prai– (outside yourself) Barshana (question) for over 400 years. 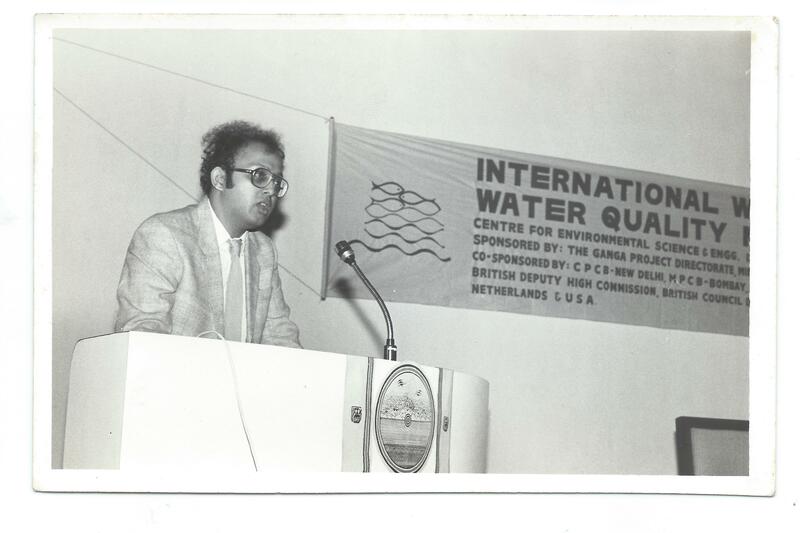 I remember the first international workshop that I organized on Water Quality Management. At that time, I was inducted as a Consultant to the Ganga Action Plan and was closely working with Dr Niloy Choudhari, Chairman of the Central Pollution Control Board (CPCB) and K C Sivaramakrishnan, Project Director at the Ganga Project Directorate (GPD). 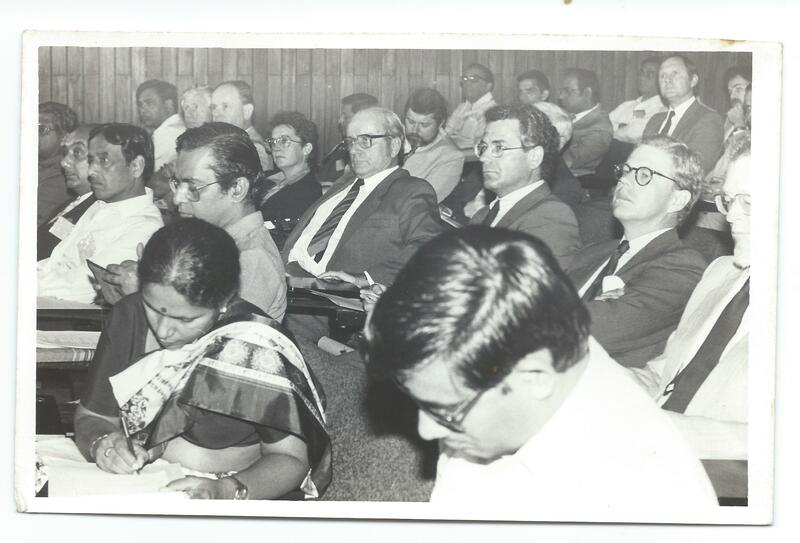 At that time, there was a beeline of international consultants queuing at the GPD “selling” their skills and experience. I used to attend presentations from agencies like Thames Water, Seven Trent from the UK, US Environmental Protection Agency, Lyonnaise des Eaux France S.A., Ruhrverband, Germany etc. I came up with an idea of holding an international workshop at IIT Bombay and bring the “Vendors” along with Academia for an exposition with discussions. The workshop was conceived over 5 days on a residential basis and we had 50 participants. This workshop was an amazing experience for me to learn event coordination & logistics, understand science based politics and of course the subjects that covered water quality modelling, wastewater treatment, policies, regulation and standards and importantly the economics of water quality management. The workshop was attended by some of the great personalities across the world – many of them were inspiring and like lighthouses. All the participants were accommodated at IIT Guest house next to the scenic Powai Lake. 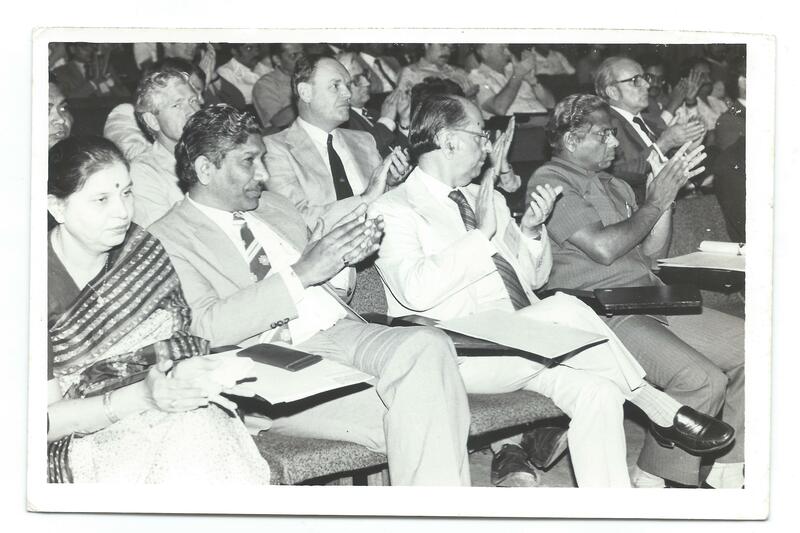 I recall that one of the evenings K C Shivaramakrishnan (KC) asked me to organize a car to take him to meet L C Gupta (LC), then Chairman of CIDCO on the Marine Drive. The car dropped him at L C Gupta’s house in the evening. KC was to have a dinner with LC. After the dinner, KC came down and did not find the car. He gave me a call in all rage and anguish and growled “Send me another car Dr Modak– your driver has simply vanished”. Actually the poor driver was right there – and only few meters away, but KC was expecting him to be parked right outside the gate with door open waiting for him. So typical of a senior IAS officer!! I took another car and we drove at 10 pm from Powai to Marine Drive. I went up to LC’s house and found that KC was fuming. We returned to Powai and during the journey he cooled down especially when I explained to him that my driver was right there and was waiting for him. As we reached the campus, KC said “Dr Modak, if you are OK, let us go your office and discuss the Ganga Action Plan. I don’t think I am in a mood to sleep”. It was 11 pm then. We went to my office at the Centre for Environmental Science and Engineering. Some students were working in the laboratory. My colleague Radha Gopalan was doing her experiments. I asked Radha to do a coffee on a Bunsen burner using a Corning Glass Beaker. We probably made a good coffee as KC just took off. He gave us an amazing “insight” to the Ganga Action Plan and talked about not just the politics but challenges of urban infrastructure, administration and finance – essentially his areas of specialization. We asked him questions so the discussions went on till 1 am. While getting dropped at the Guest House, KC said “Thank you Dr Modak, you made me vent out today. And I am really sorry for all the trouble” and I said “Sir, to me this session was the best part of our Workshop! I must thank you”. My interest of holding strategic workshops continued. In 1990, I approached Asia Pacific Centre for Transfer of Technology (APCTT). My idea was to hold a 5 day regional workshop on Waste Management & Recycling. The idea was to bring together senior management of the Government and top notch Academia in the Asia-Pacific region and expose them to the paradigm shift of waste to resource management. I booked the entire Valvan Village Resort at Lonavala, a hill station between Mumbai and Pune. We were 50 participants representing counties like Sri Lanka, Nepal, Bangladesh, Pakistan, Thailand, Philippines, Indonesia and of course India. The workshop had several features – group work, field visits, software demonstrations, videos. We had cultural events too that included violin recital and a Bharatanatyam dance. There were four participants from Pakistan. All four were worried and tensed to be in India. 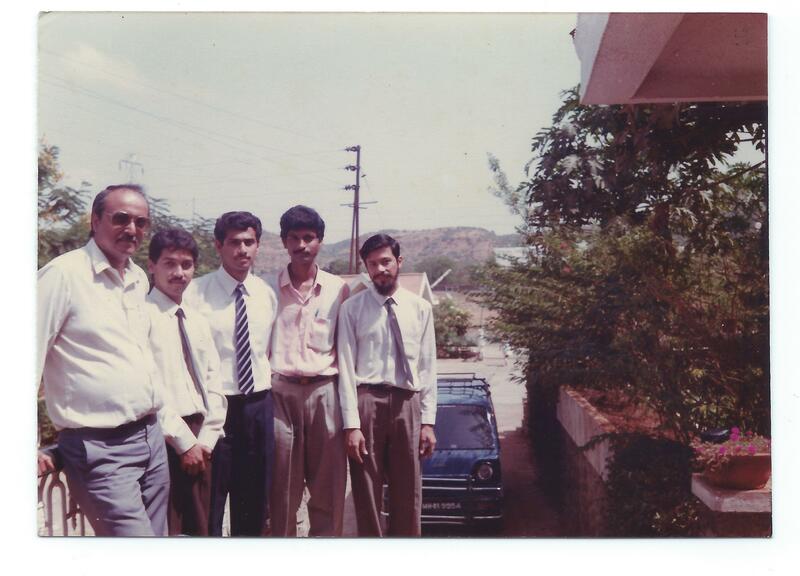 When they arrived in Mumbai, we organized two cars for them to travel to Lonavala. I proposed that in each car, two Pakistani’s would sit with two my colleagues. The Pakistani’s refused this proposal and said that all four of them must stay together and our second car with my colleagues could lead. I was not happy with this proposition but finally I gave up and agreed. The cars took off in the morning. Somehow the driver of the car where Pakistani colleagues were sitting jumped the signal in Chembur near the Bhabha Atomic Research Center (BARC). The traffic policeman stopped the car and asked the driver to show his license. And then very casually, the policeman asked the travelers “Sir, where are you from?” One of the Pakistani colleagues answered “From Islamabad!” And then there was a grave silence. People from Pakistan next to BARC? This was just not acceptable. I was summoned immediately to the Police Headquarters in Mumbai for the explanation. Fortunately, the Inspector General of Police then Mr. Vasant Saraf was a friend (He was Counselor at the Indian Embassy in Bangkok when I used to live there). I was told to take the Pakistani’s every evening to the police station in Lonavala and register during their entire stay. This added a new dimension to the Workshop and was a new lesson learnt! 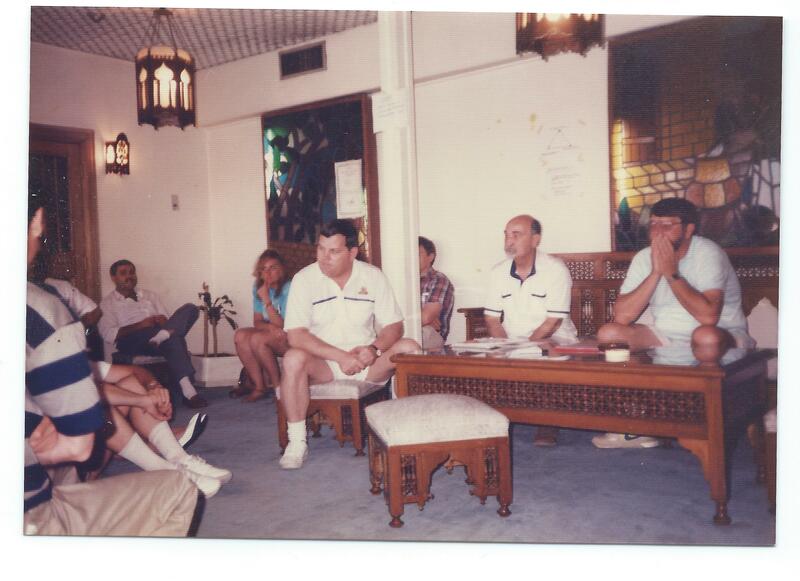 In 1992, I was invited by the USAID to participate in a 3 day workshop on a Nile Cruise in Egypt. The workshop theme focused on the Business in the Environment sector in the next 25 years. The participants included CEOs of companies like Metcalf & Eddy, Bi-Water, and CH2M Hill etc. There was so much to learn, especially for me! I don’t see such workshops happening in India. We should do such events. In 2002, the World Bank asked me to prepare Strategic Environment Assessment (SEA) for the Palar River Basin in Tamil Nadu. For this work, I proposed a 3 day residential workshop at Kanchipuram, city of the Shankaracharyas. The workshop had 40 participants and we booked the entire hotel. Three Ministers of the State participated. Participants included farmers who were impacted due to pollution. They came in the traditional veshty. There were rules of conduct for the workshop. One of them was not to argue based on emotions. All arguments were to be evidence based. For this I had set up a “Knowledge Room” in the hotel that had the maps, reports, data etc and access to the Internet. All participants were encouraged to bring the information they had and place in the Knowledge Room. This rule actually worked and the workshop outcomes had all the consensus and the meat for taking actions. Asia’s first river basin board was formed. In 2004, I did a workshop on Cleaner Production in Tagaytay in the Philippines. Tagaytay is one of the most popular tourist destinations because of its outstanding scenery and cooler climate provided by its high altitude. Tagaytay overlooks Taal Lake in Batangas and provides one of the iconic views. I was the workshop organizer and there was no pre-fixed agenda. There were only 20 participants – select experts of international repute on Cleaner Production. On the first day, we worked on the agenda to decide “what to do” over the next 3 days. We decided the workshop structure, topics to be dealt with and the lead speakers – all amongst us. A consensus was reached at the end of first day. The agenda ensured that we achieve the outcomes we were looking for. I enjoyed this style of workshop design and conduct. Instead of pre-fixing the agenda apriori it is many times more effective to evolve one as a group and then work together. Such workshops rarely happen! But you need to have mature or experienced group of participants! In one of my trips to Southampton in the UK, I met a Professor. He used to run workshop on Finite Element Methods on Queen Elizabeth II that plied between London and New York. The workshop was boutique in a sense as it would take only 15 select participants. The workshop was run by Professor and his Family. His wife was a travel agent who would do the bookings and handle logistics. Daughter was a Yoga and Health food freak and so she would conduct Yoga sessions on the deck and design the food menu. Son was into photojournalism and publishing and he would produce a book of lectures of the Professor at end of the cruise. Wow!! The Family used to have great time of being together every year, as a paid holiday and garner business through the connection with the participants. I liked this model. I told my Professor friend about workshop on the cruise.